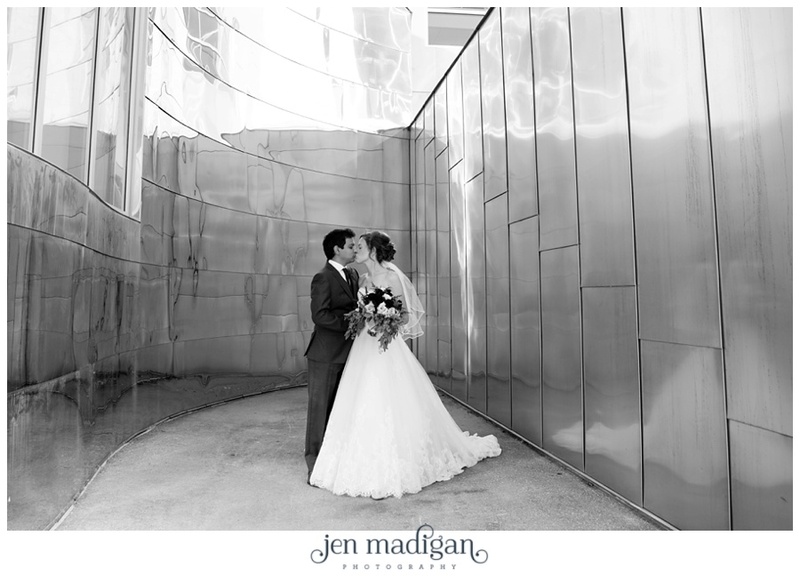 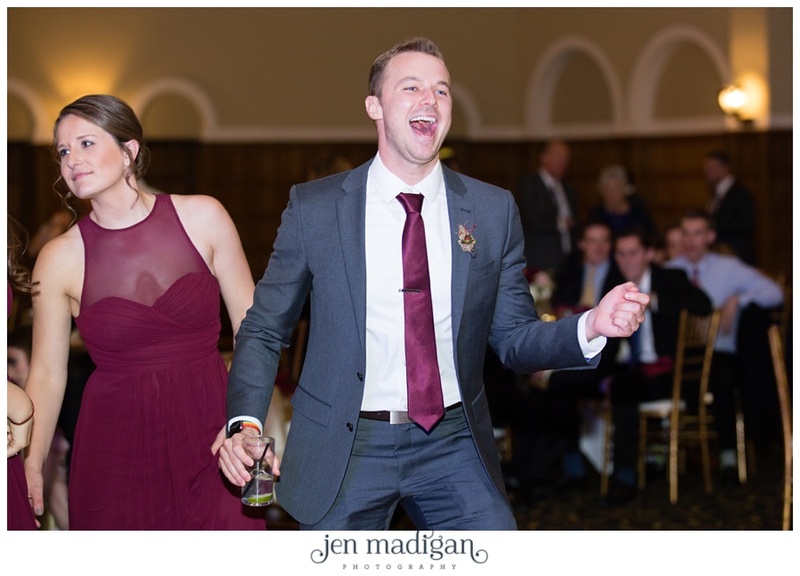 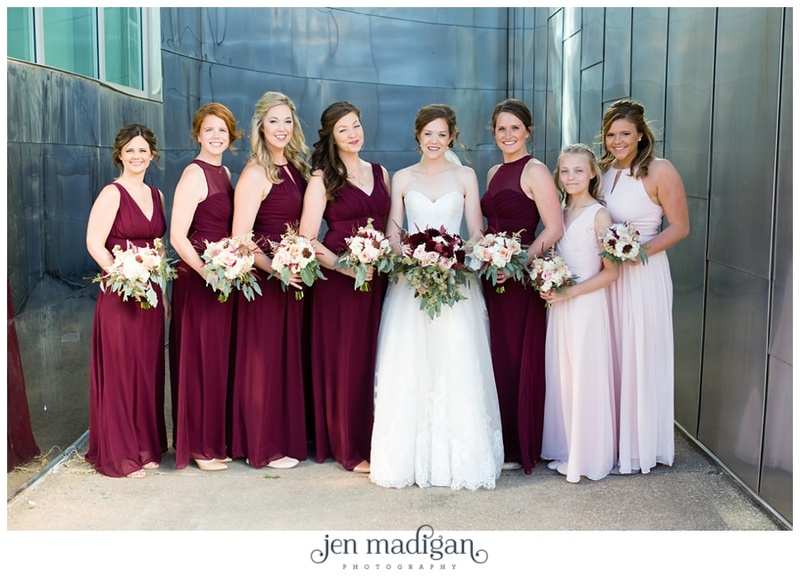 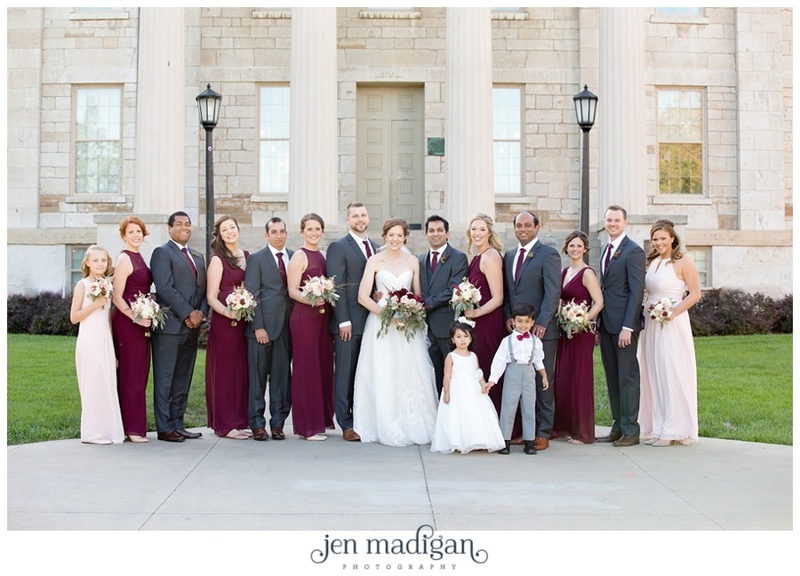 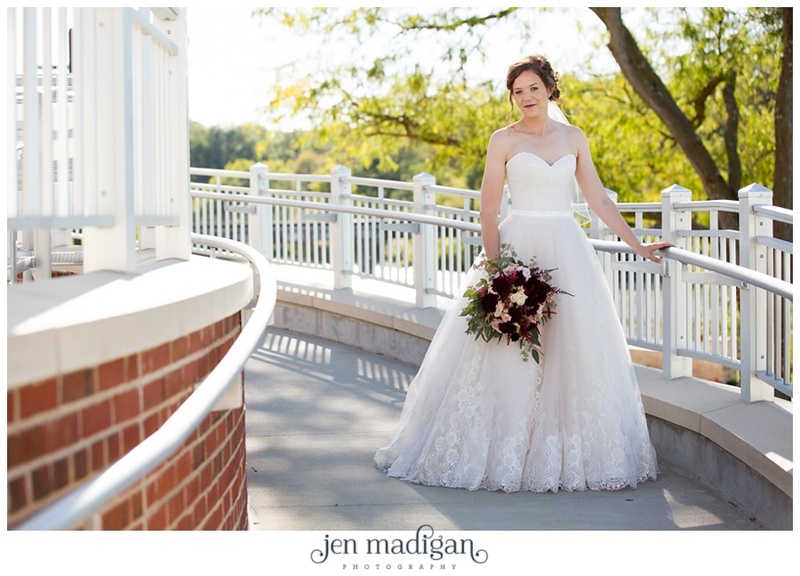 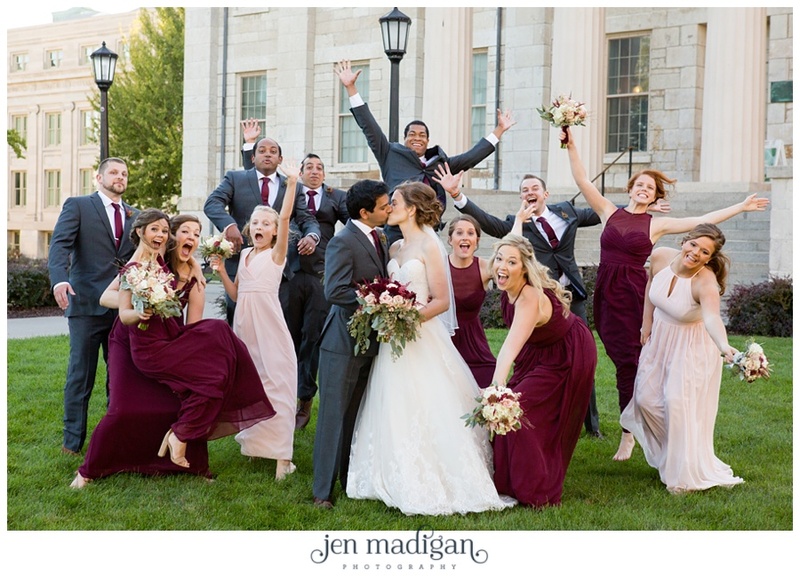 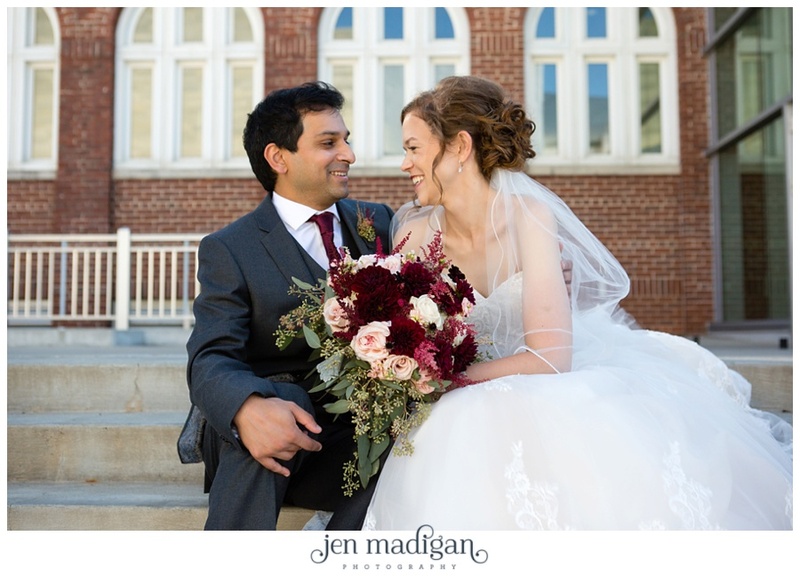 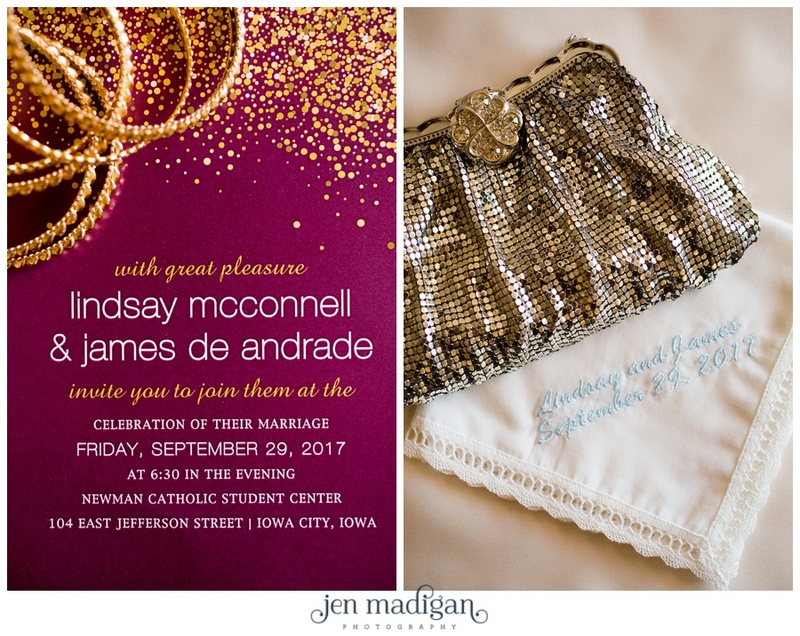 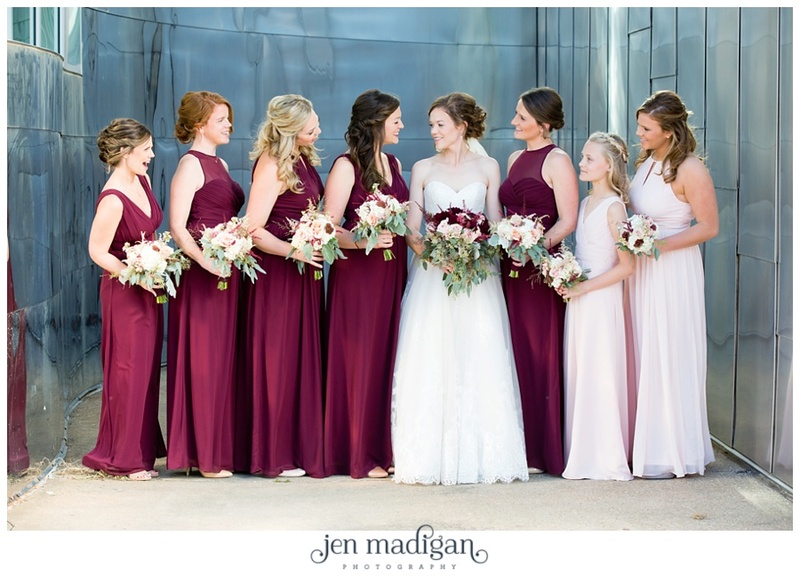 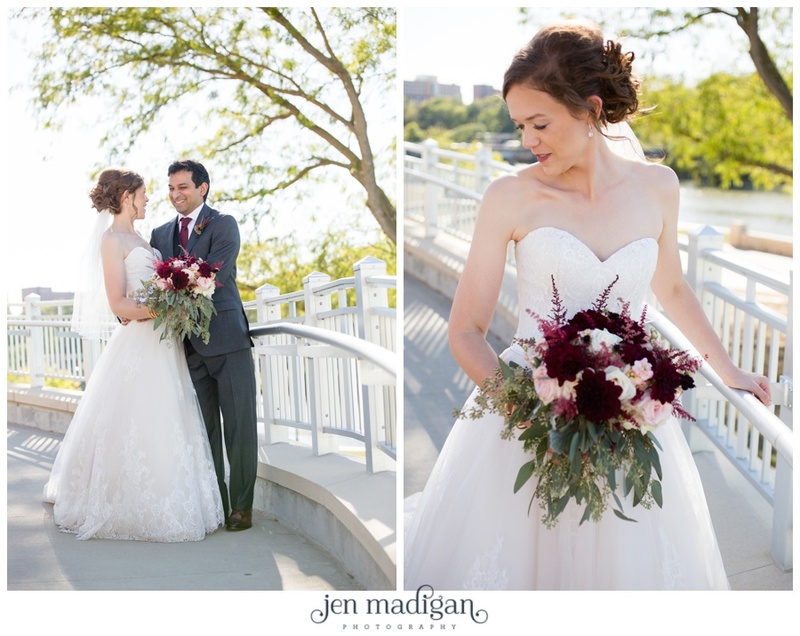 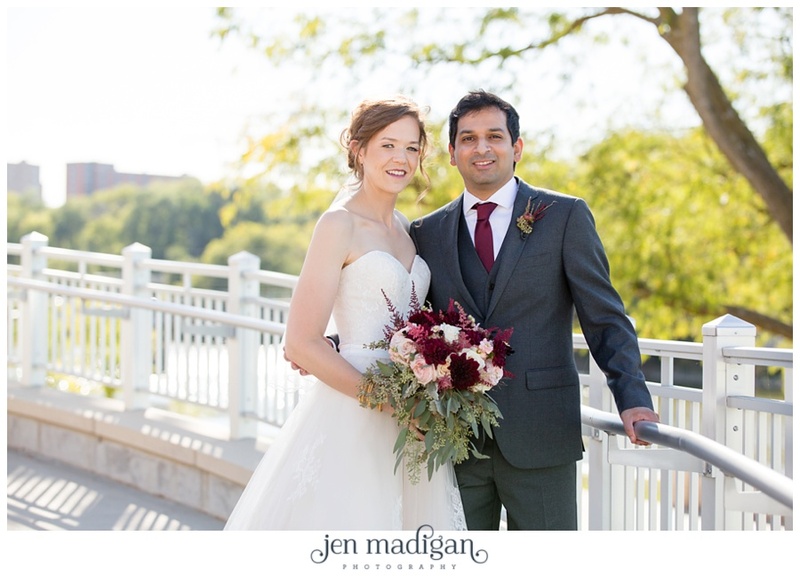 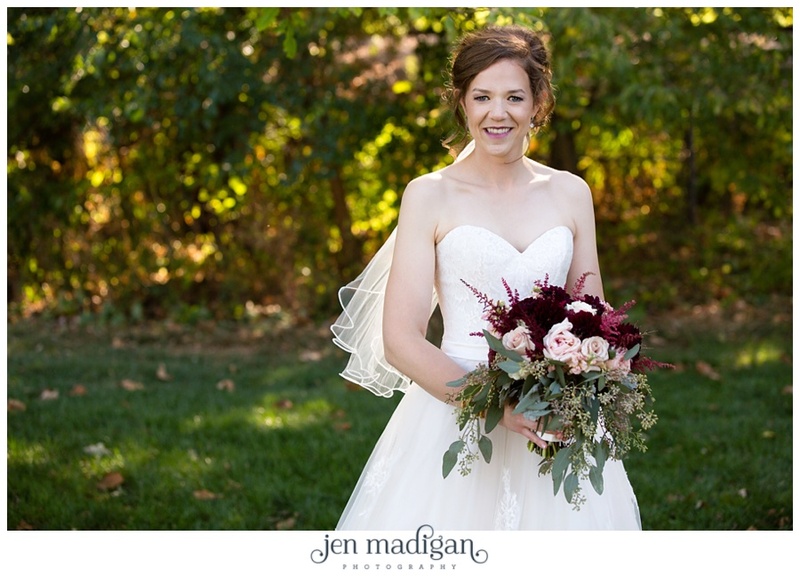 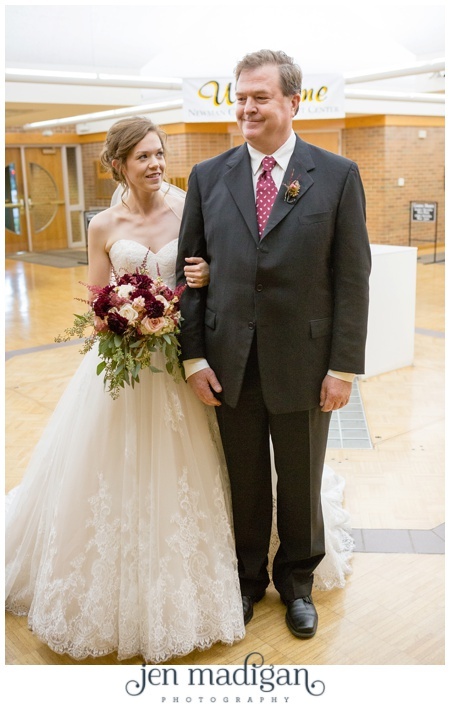 Lindsay and James had a gorgeous fall day for their September 29th wedding at the Newman Center with the reception at the Iowa Memorial Union. 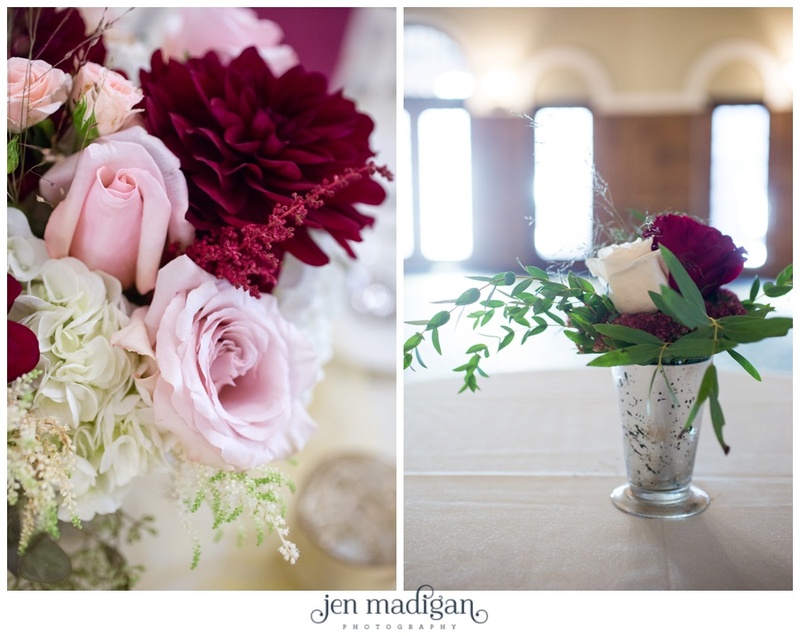 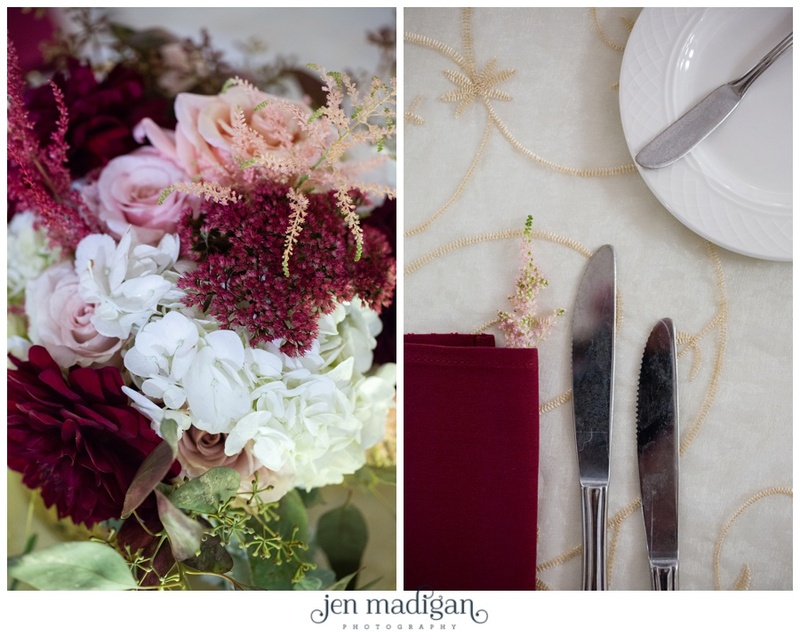 The colors of pink and burgundy, along with the flowers done by the fabulous Julie from Julie's Fountain of Flowers were perfection. 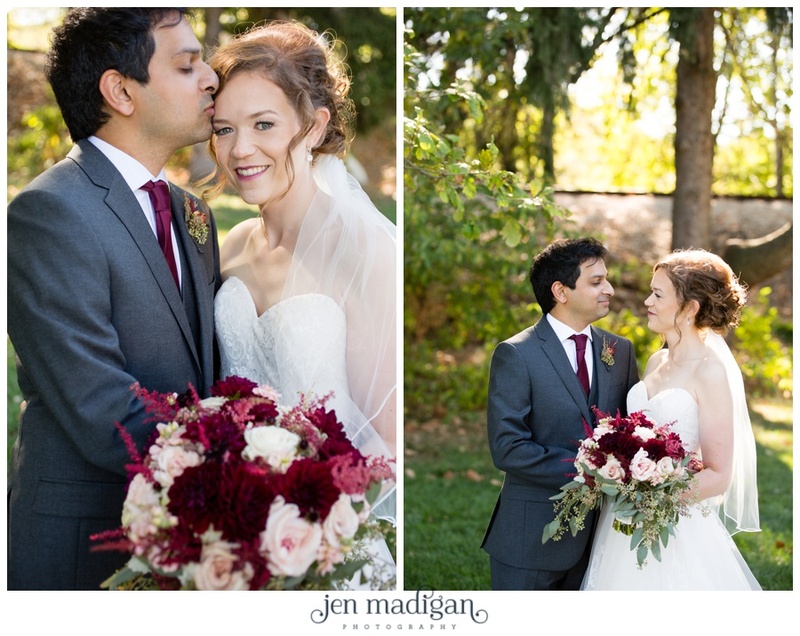 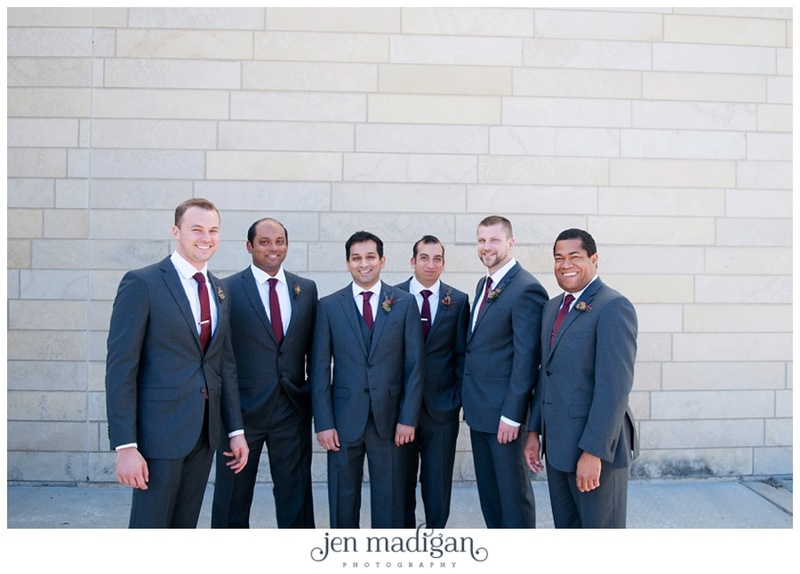 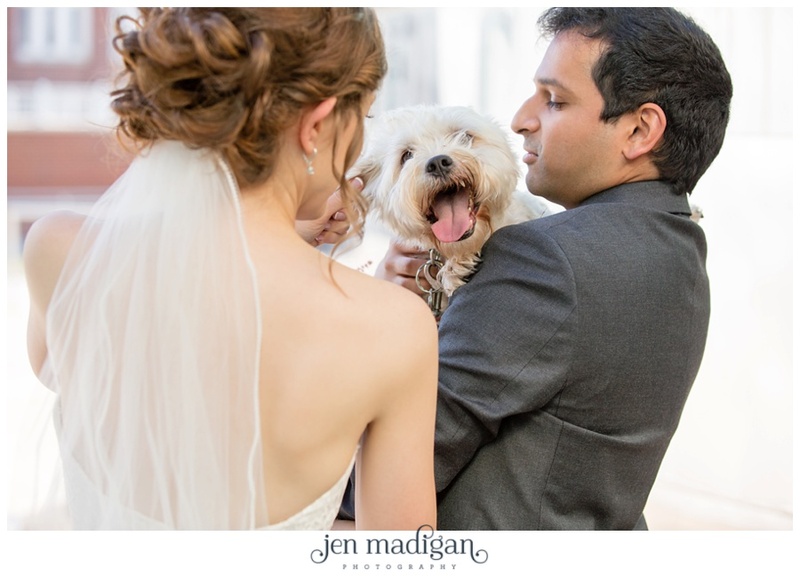 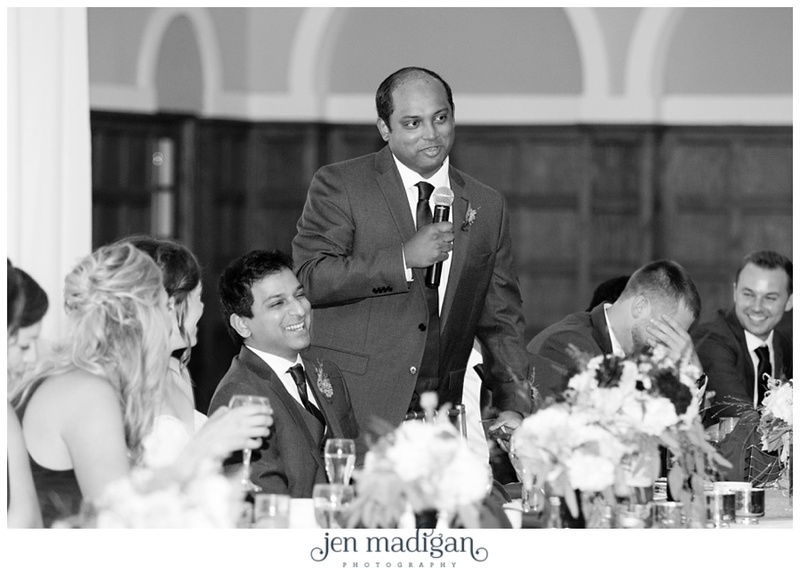 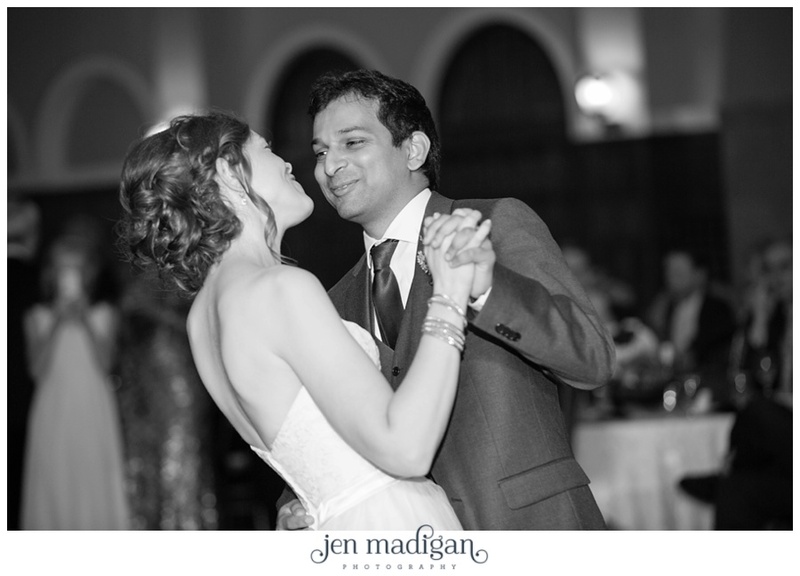 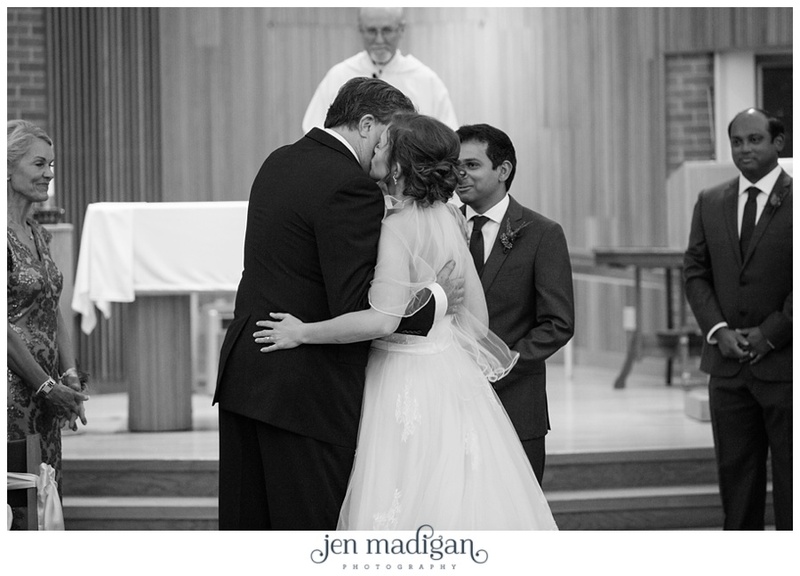 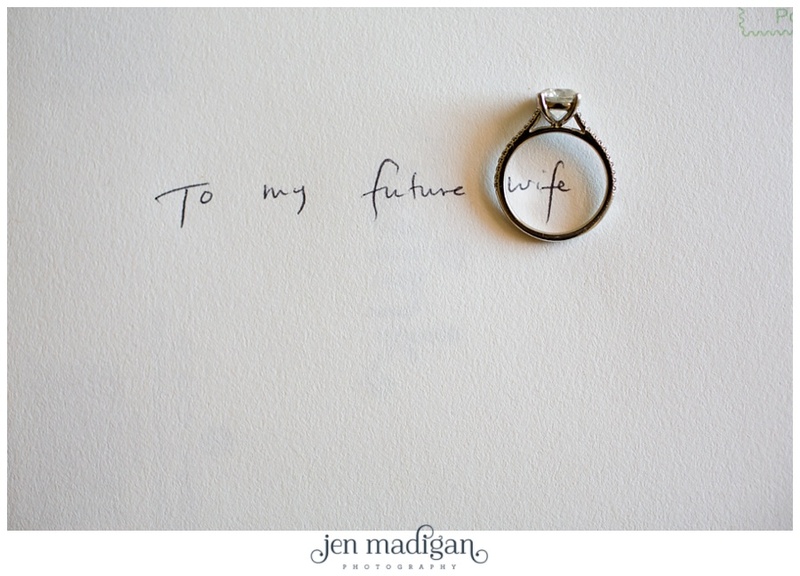 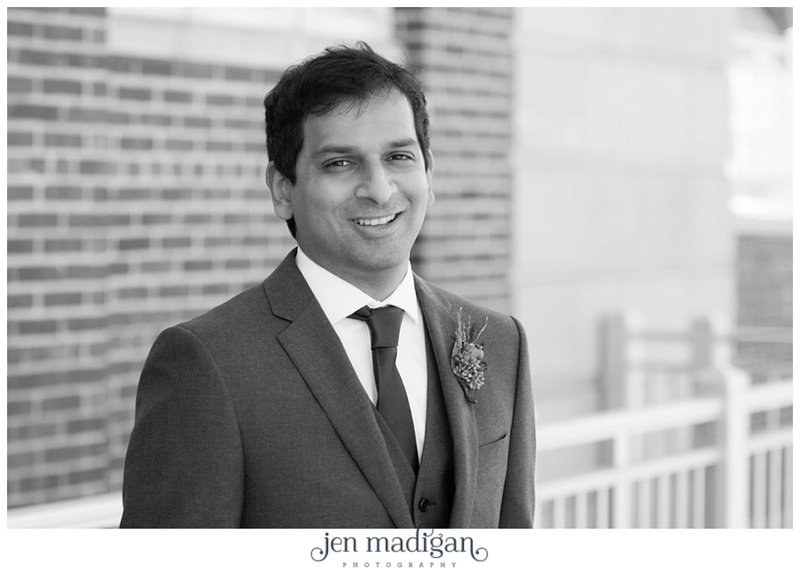 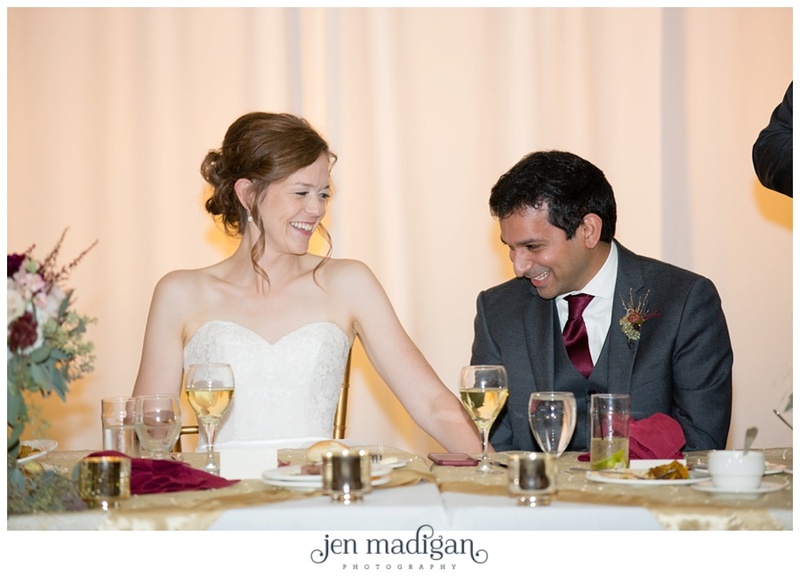 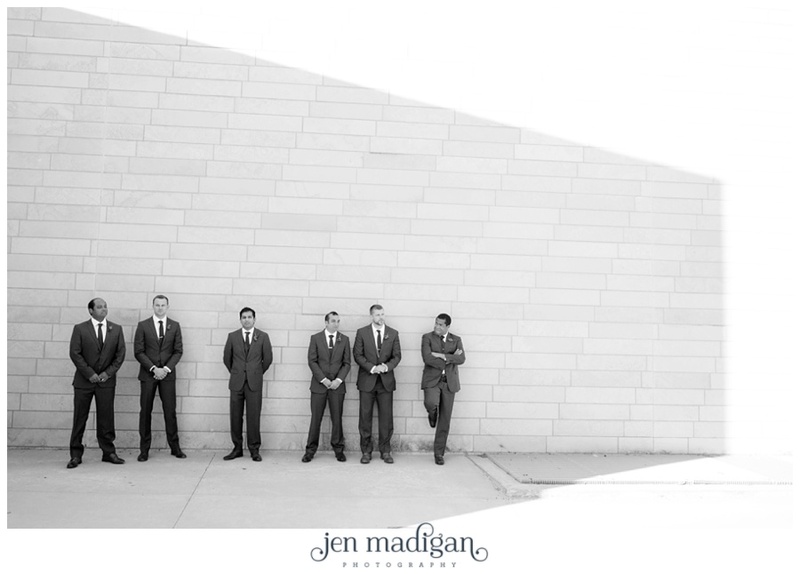 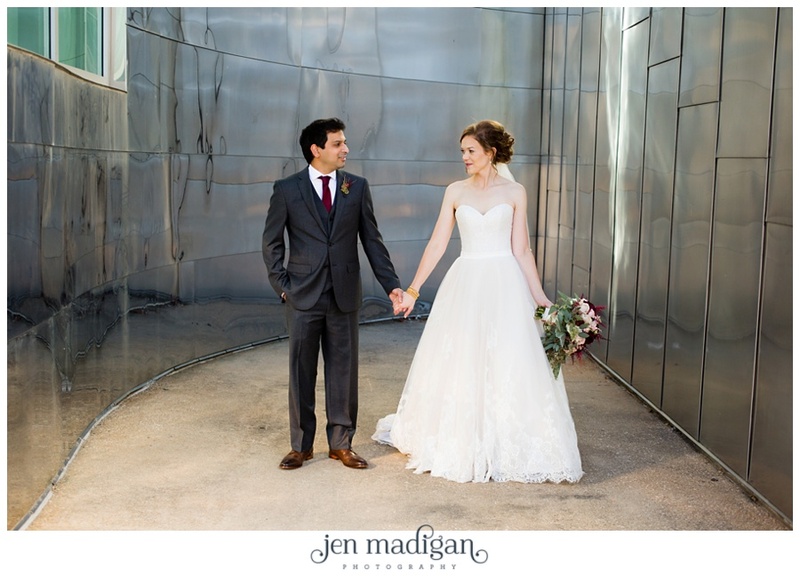 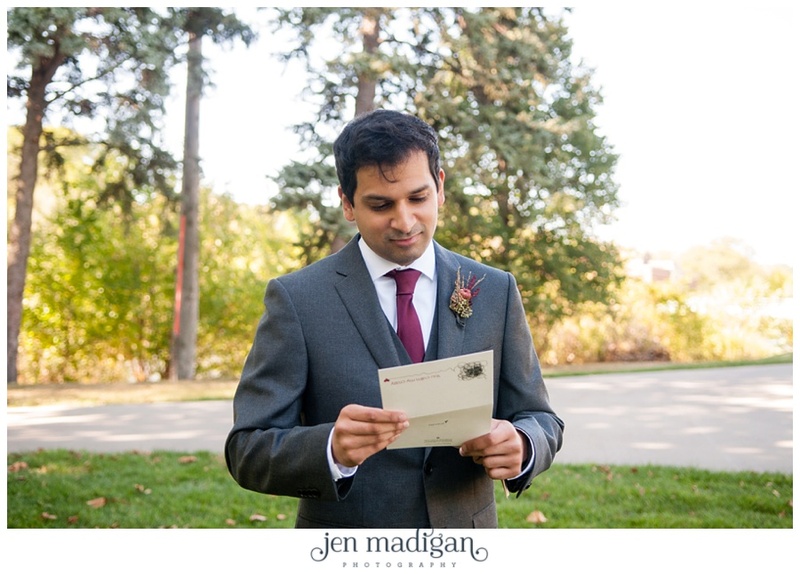 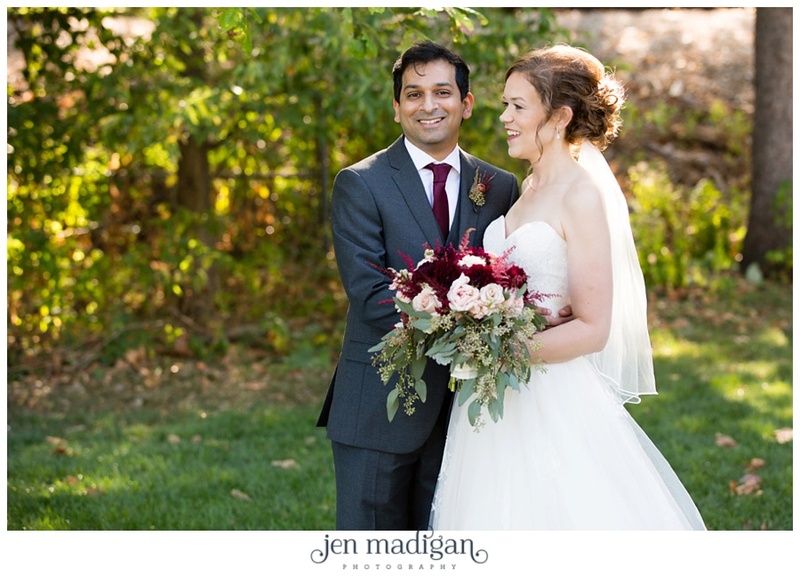 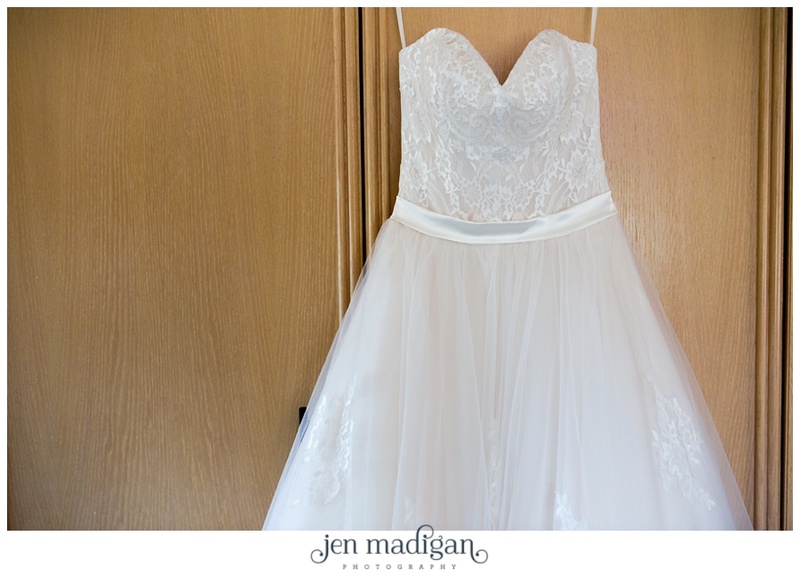 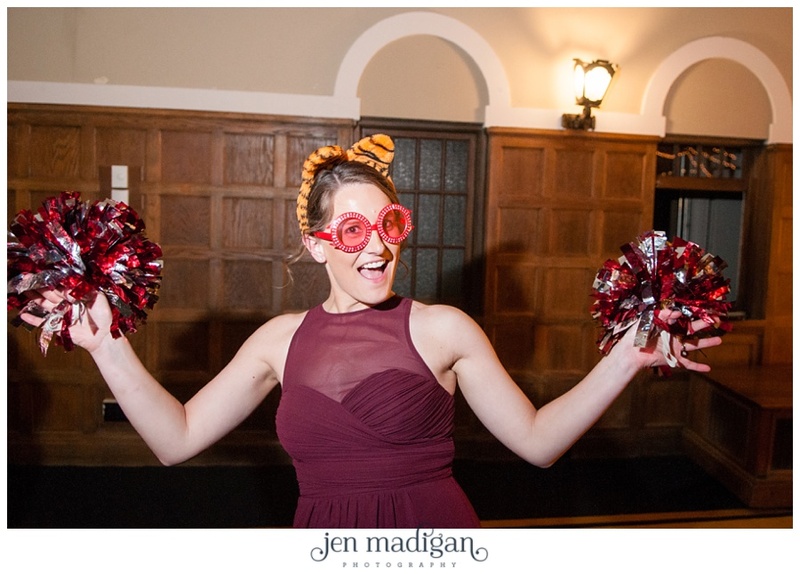 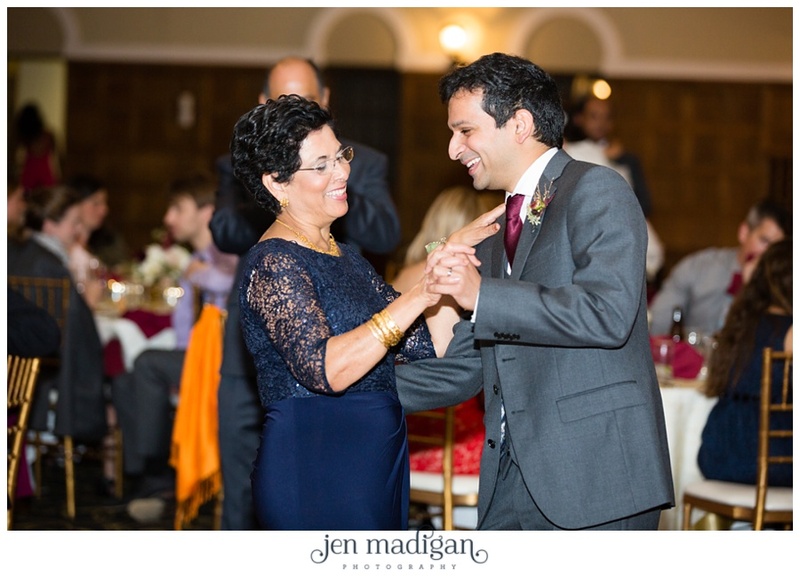 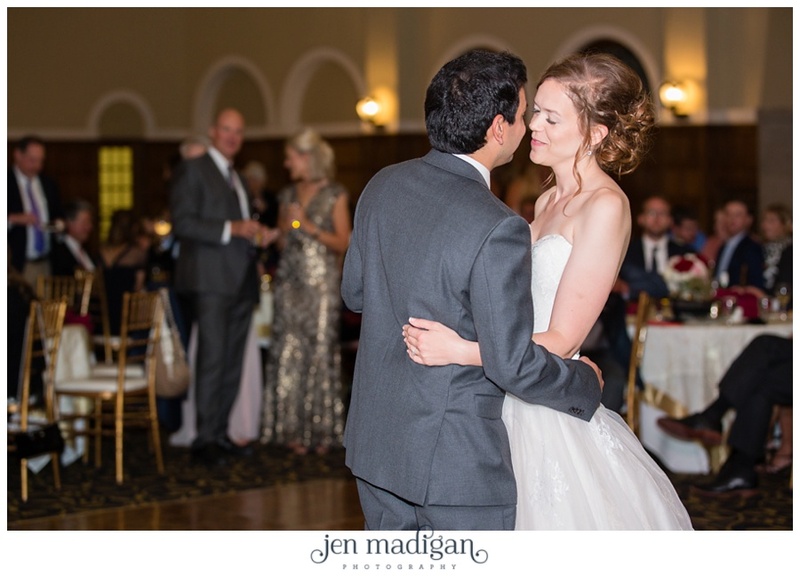 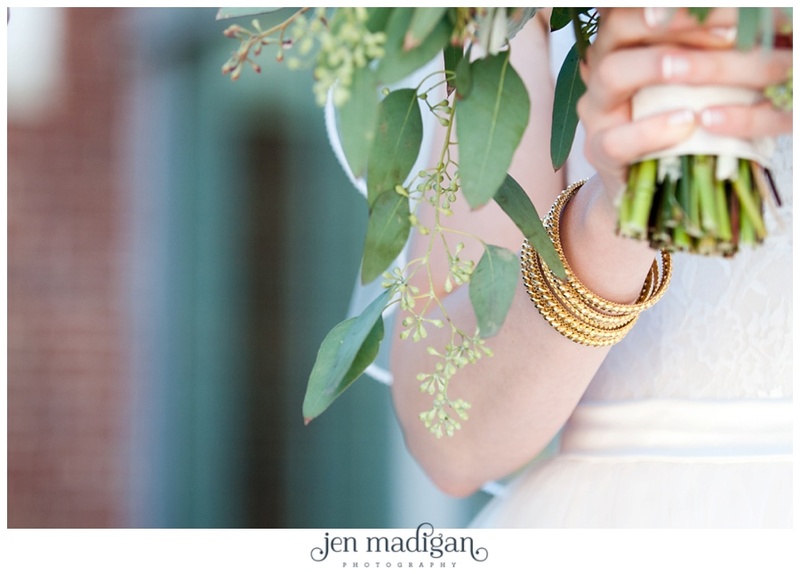 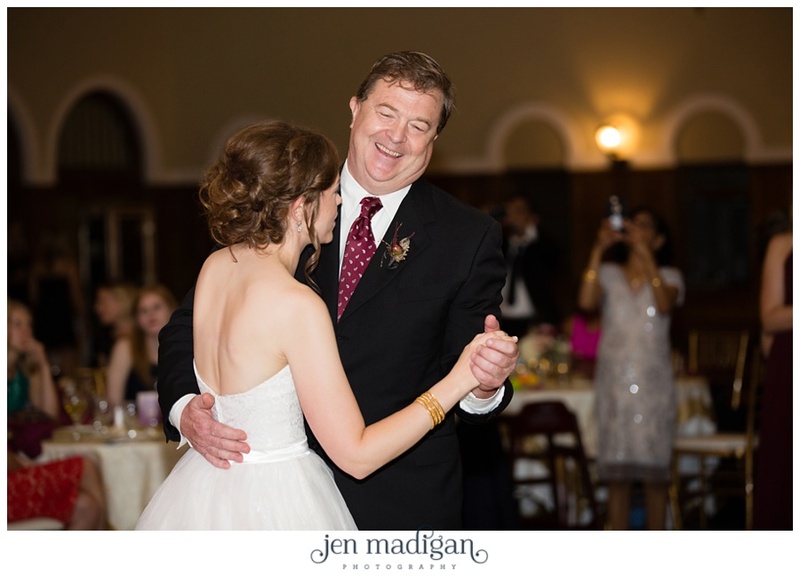 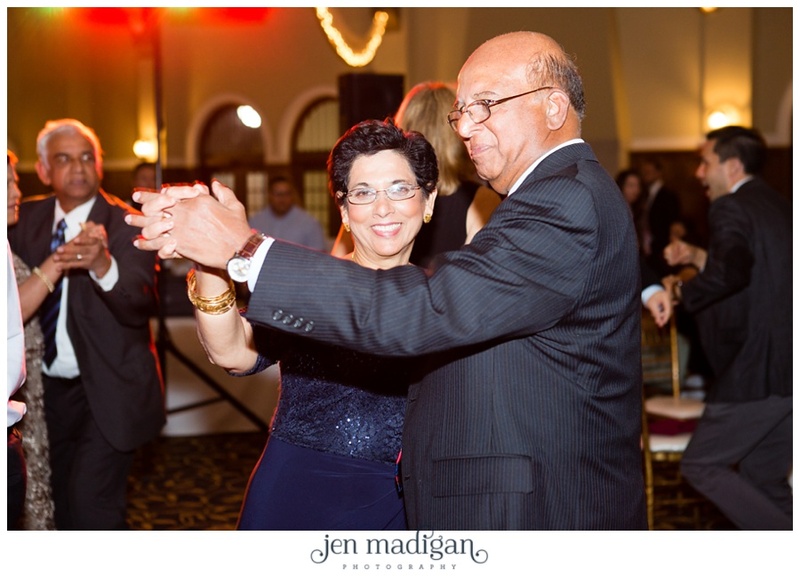 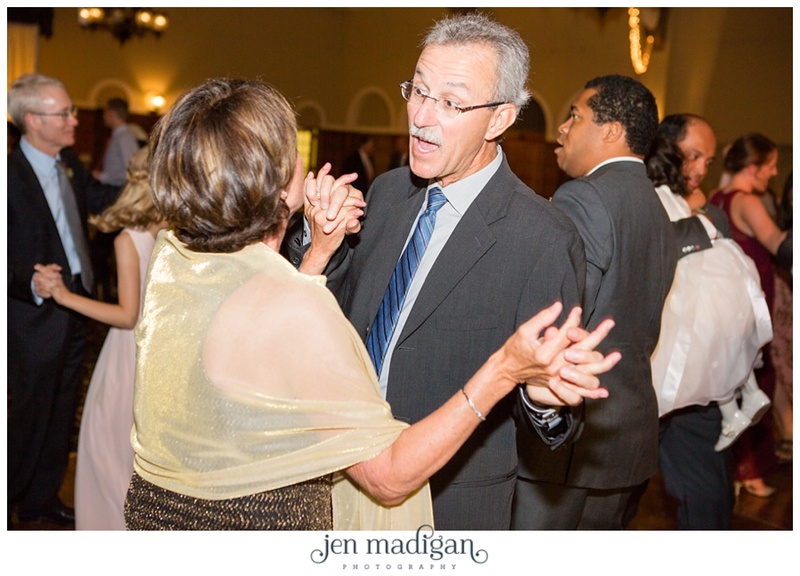 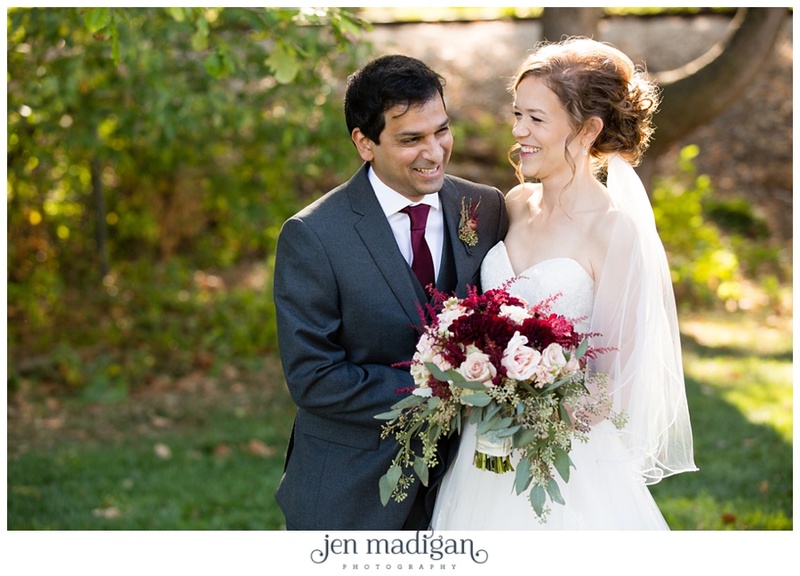 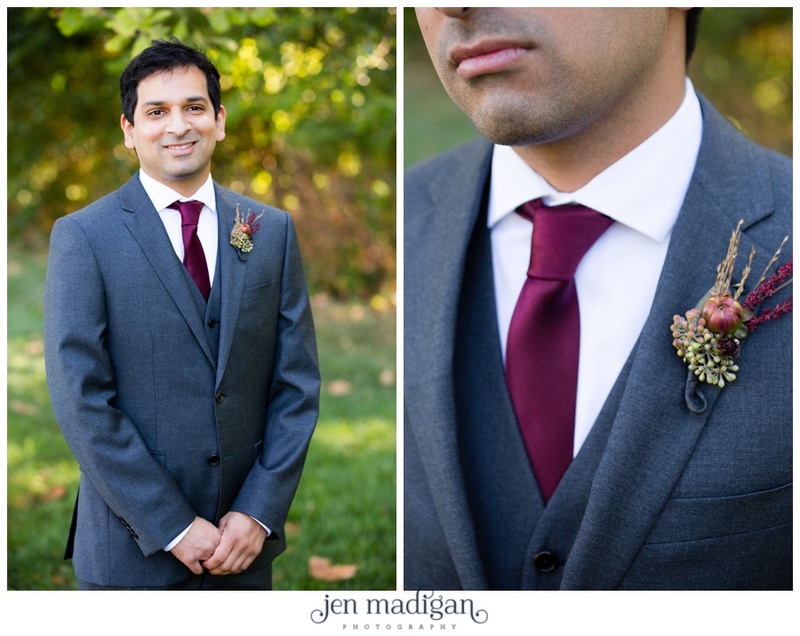 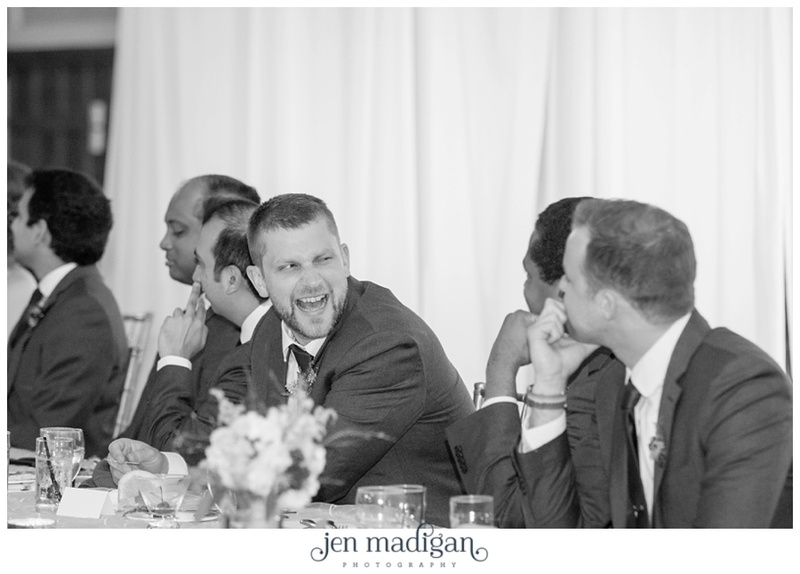 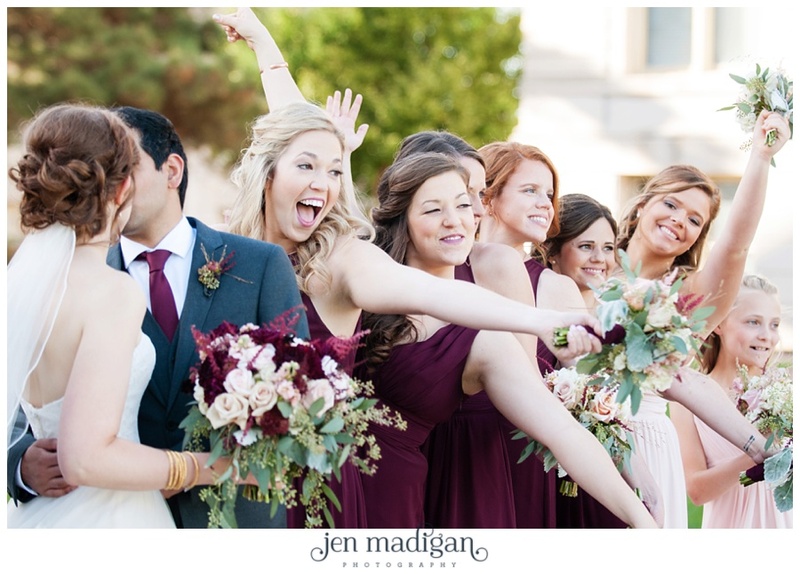 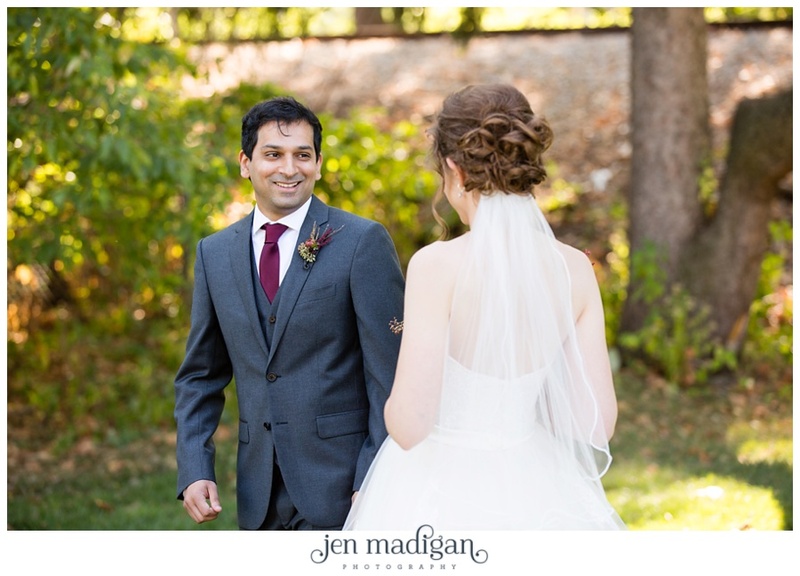 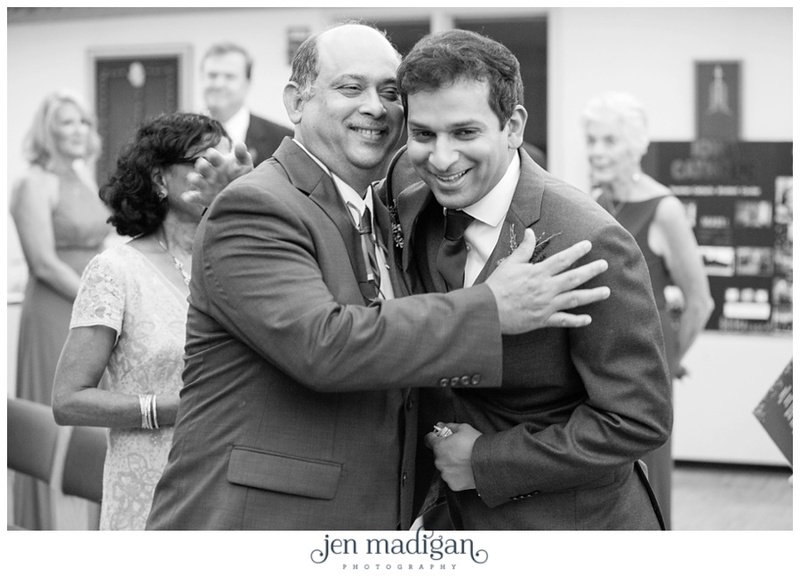 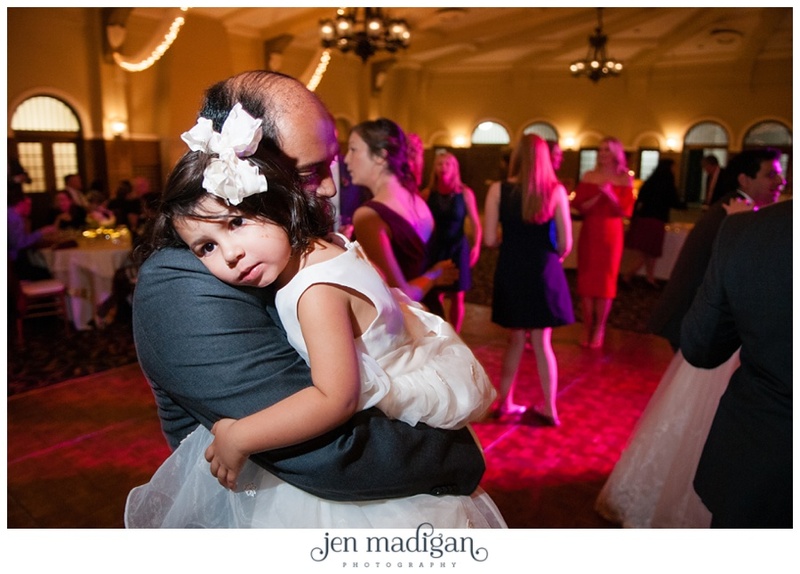 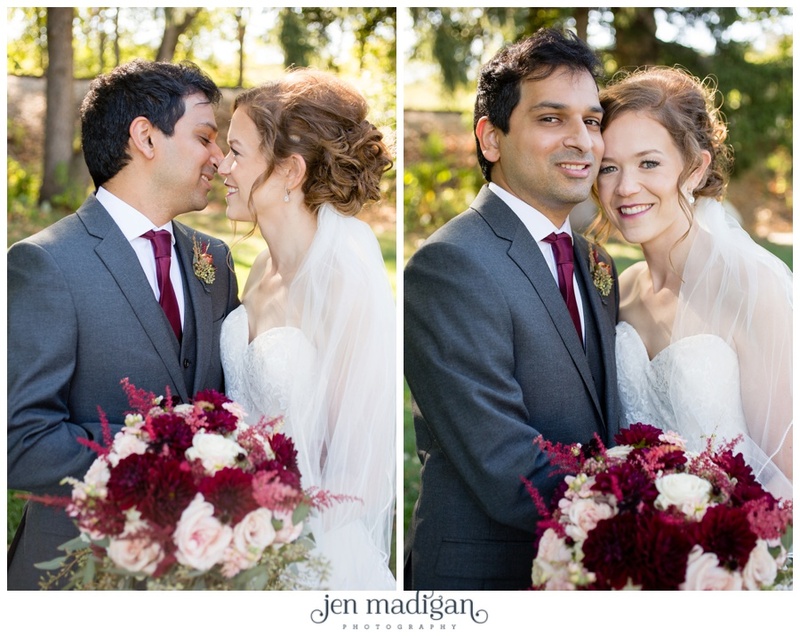 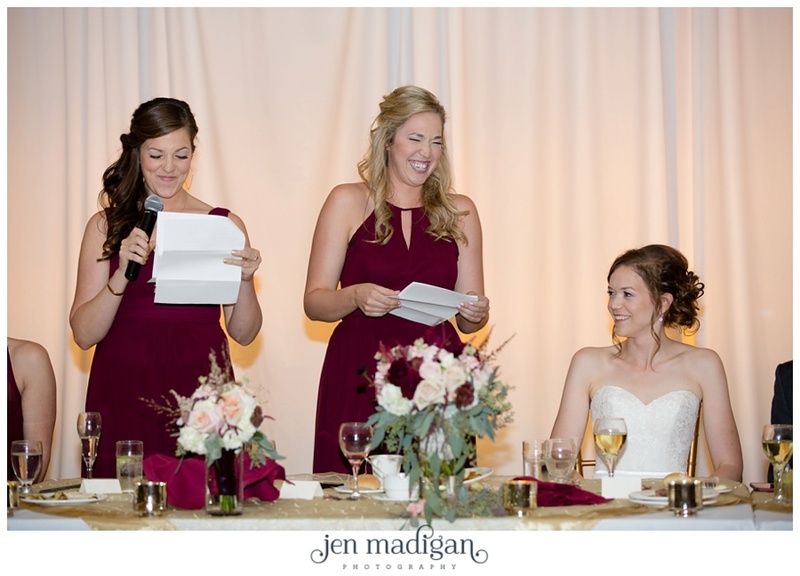 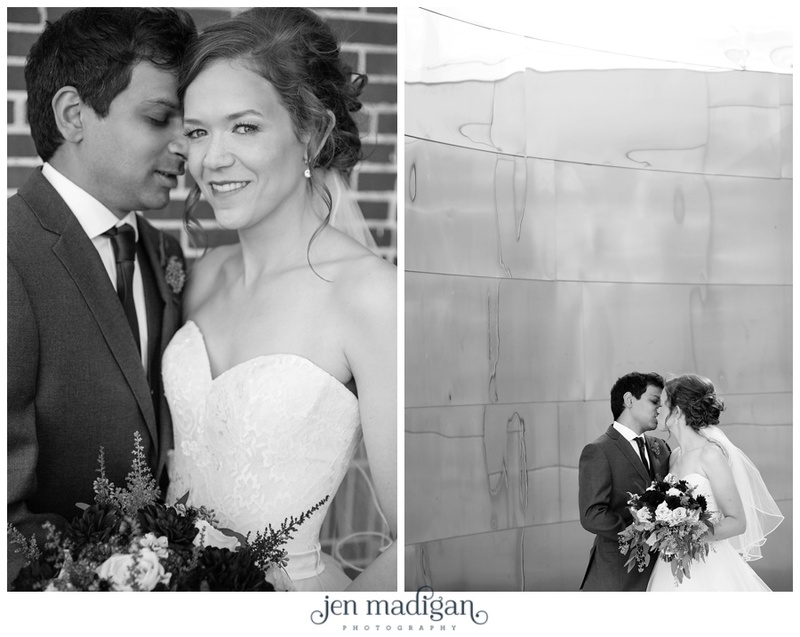 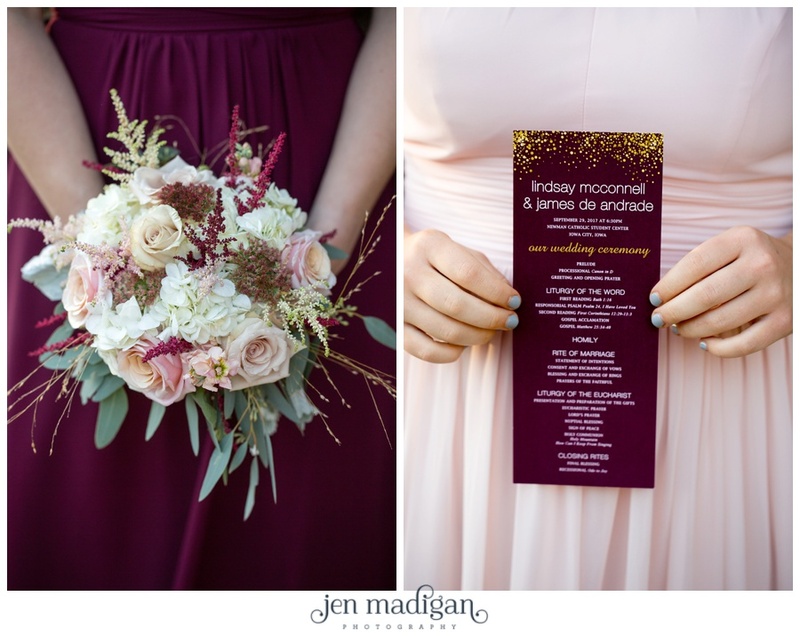 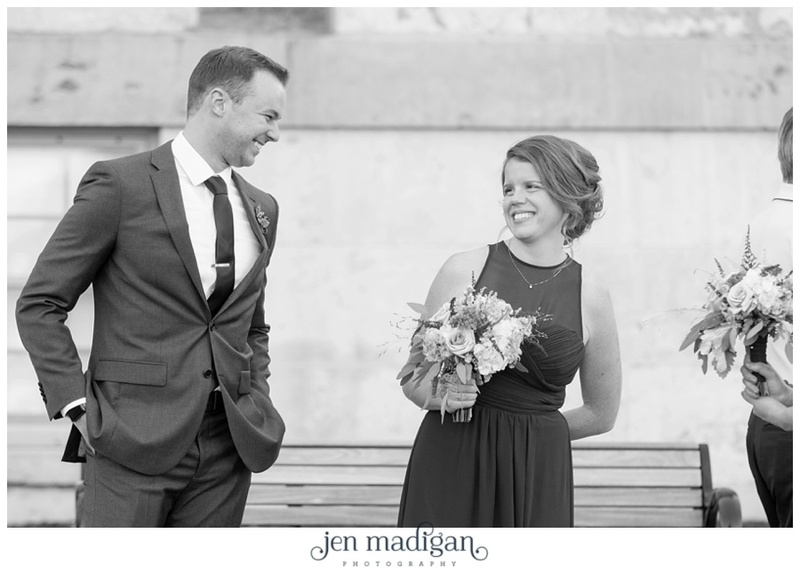 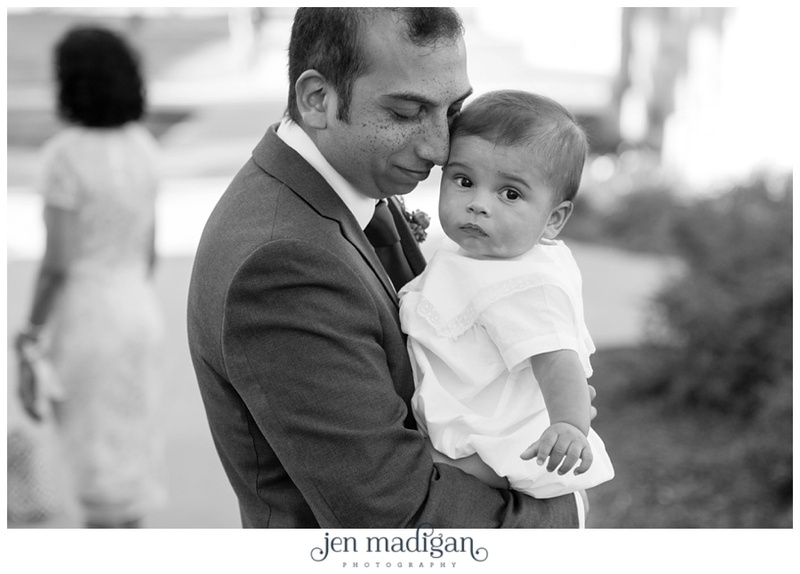 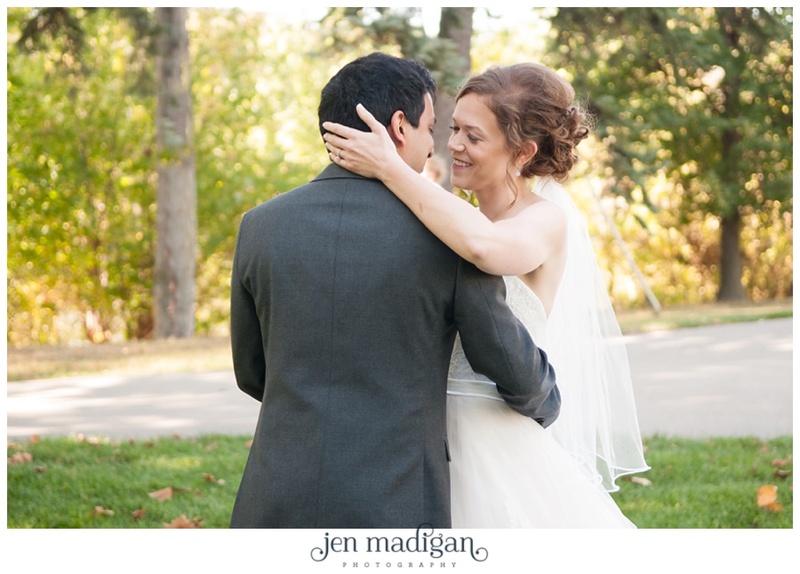 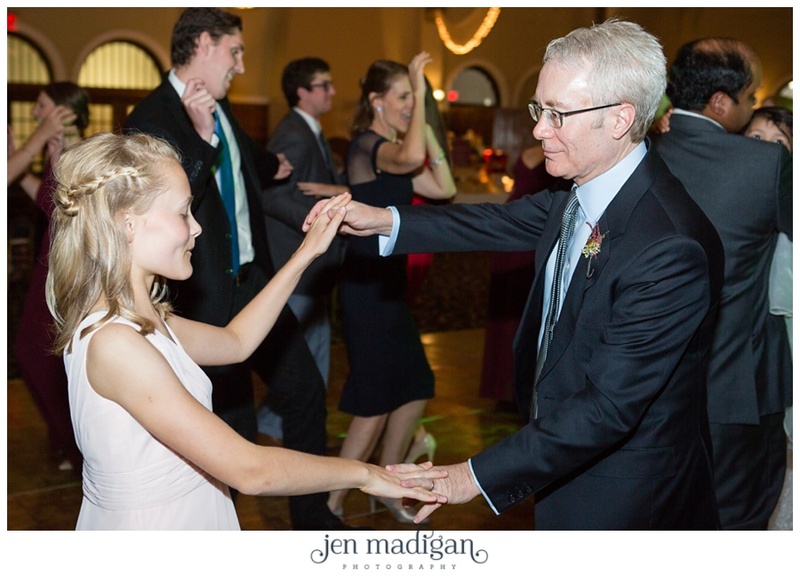 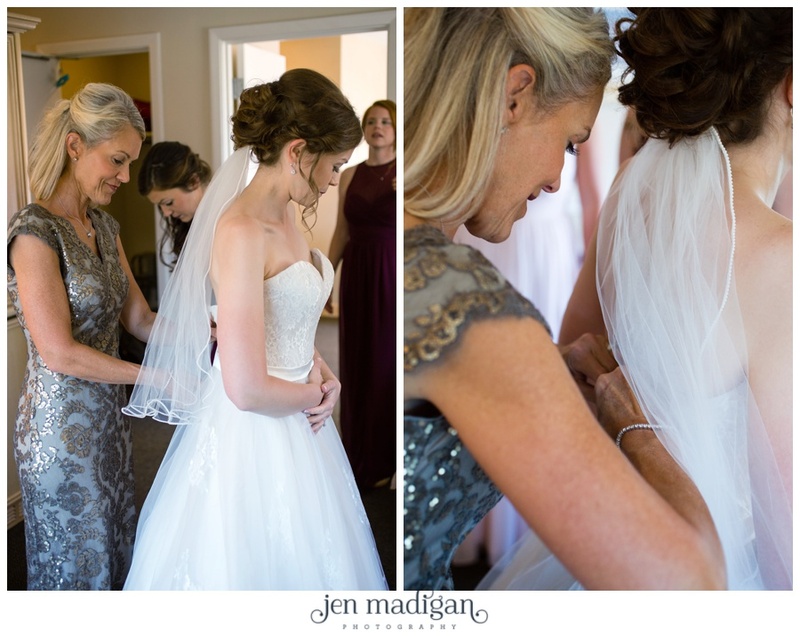 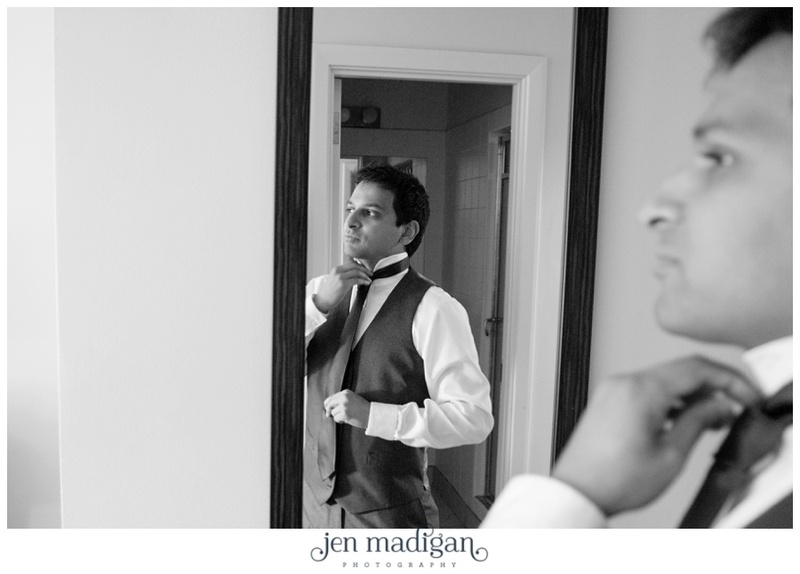 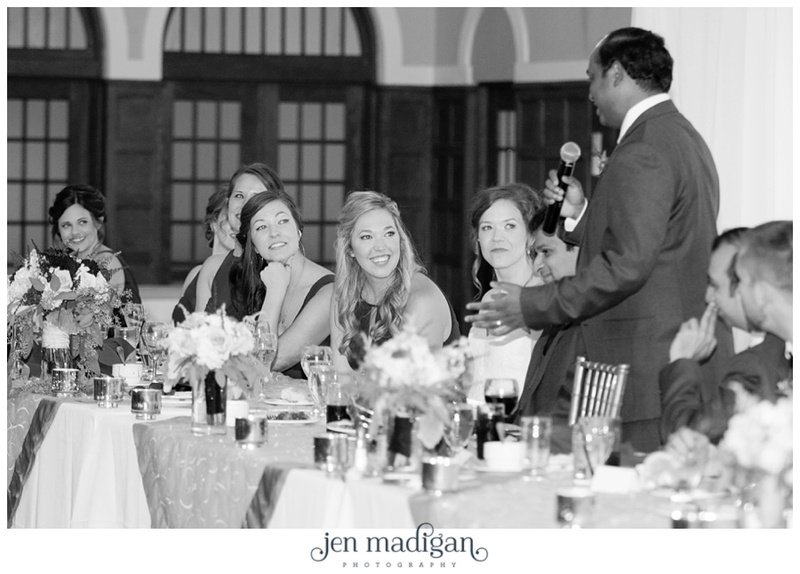 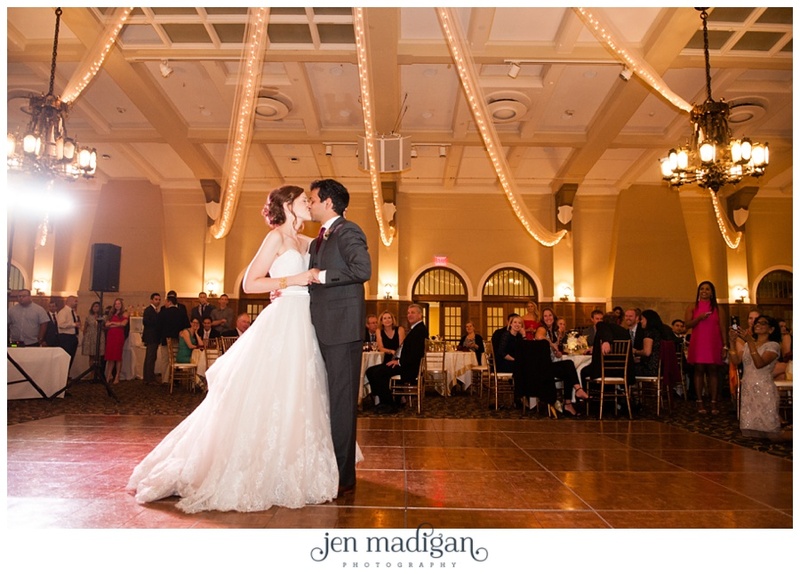 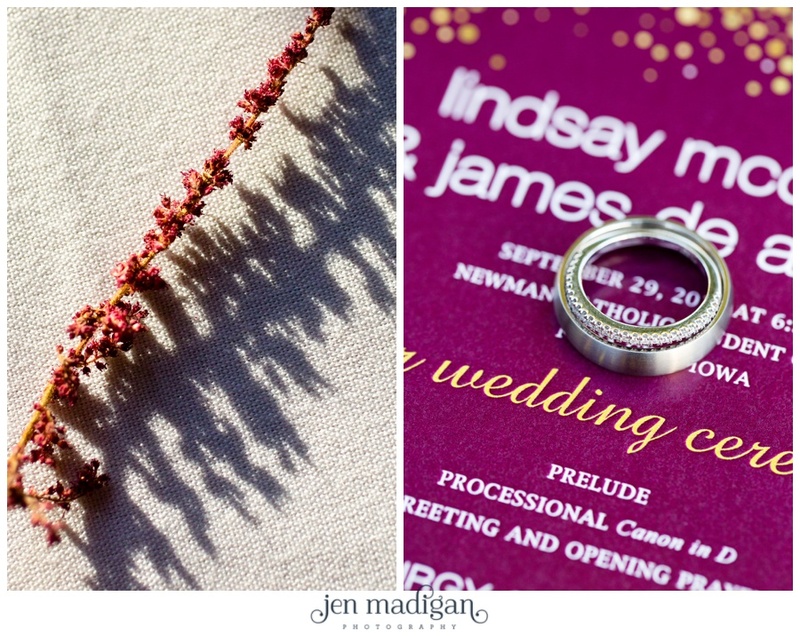 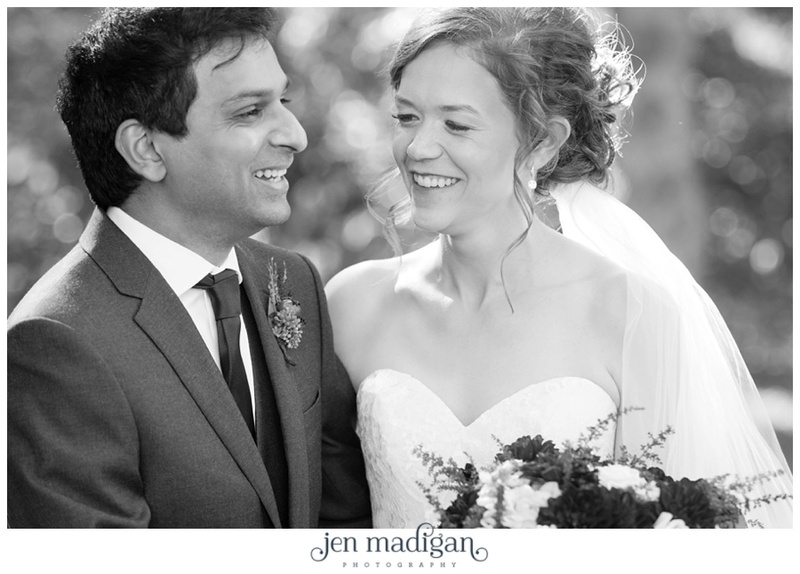 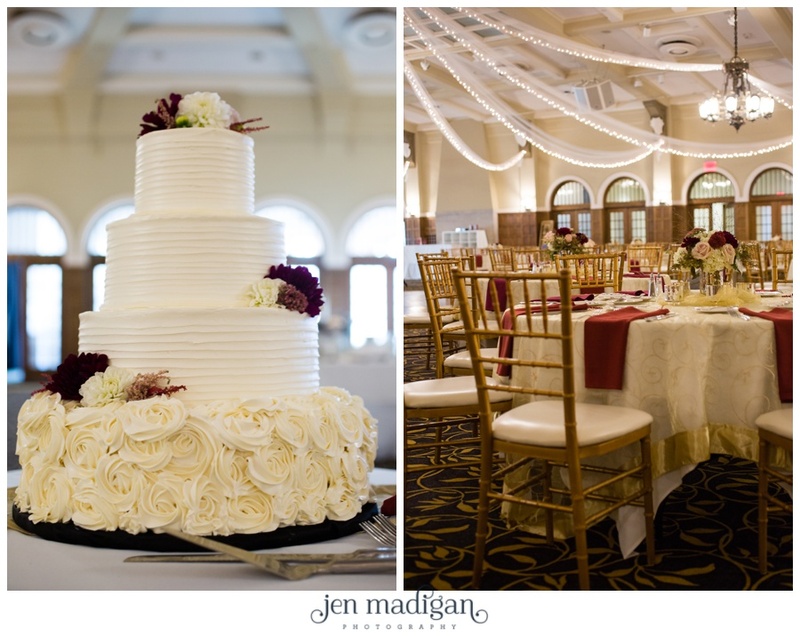 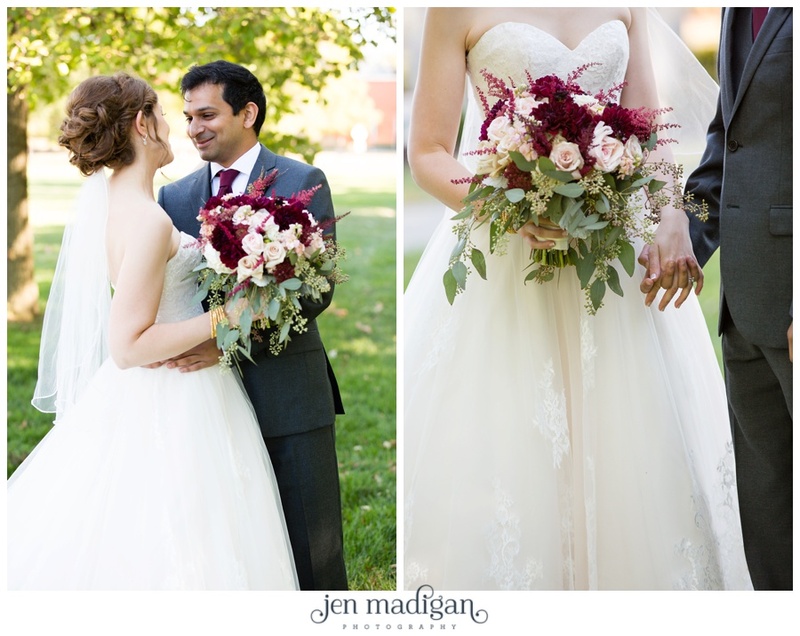 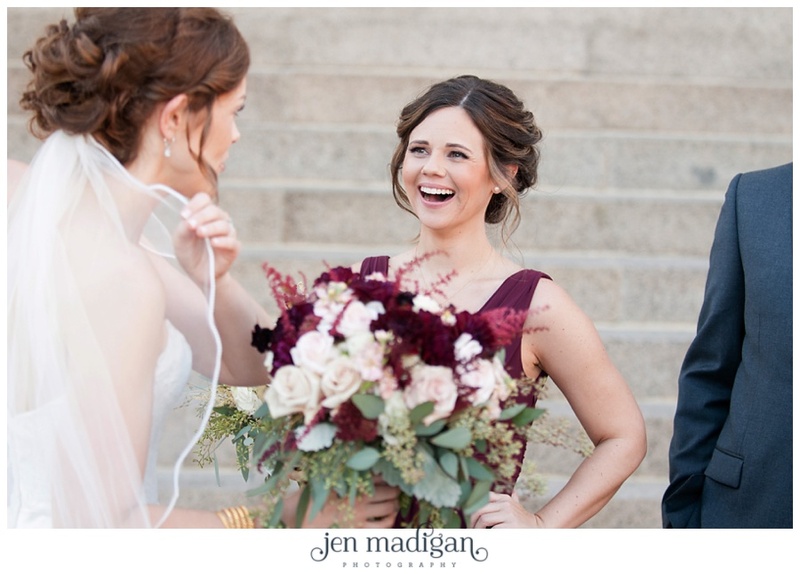 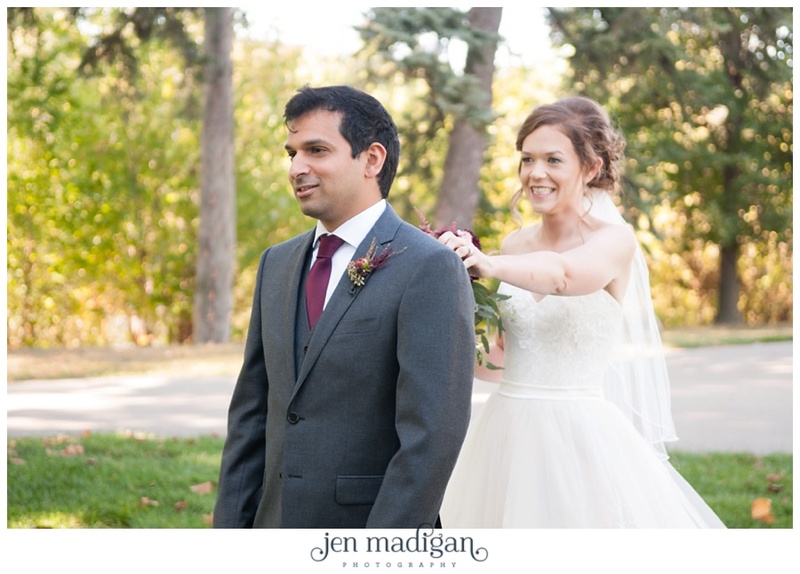 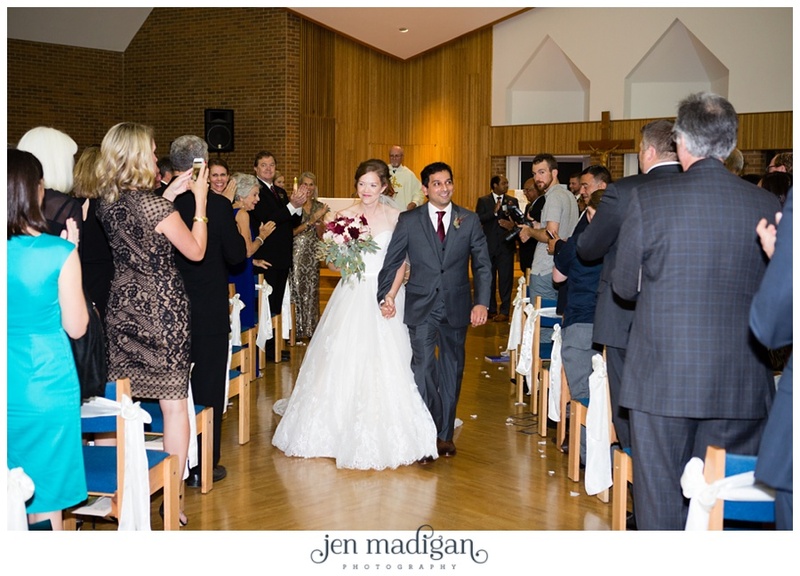 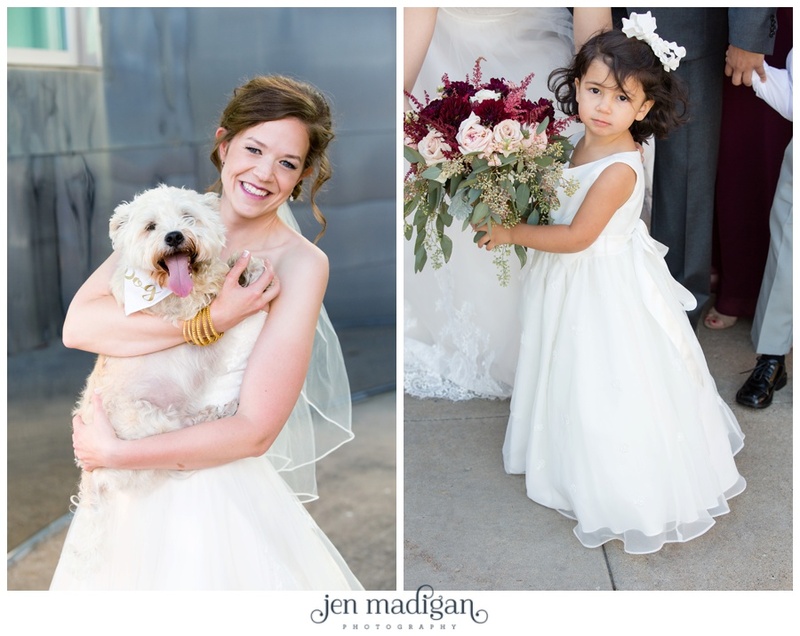 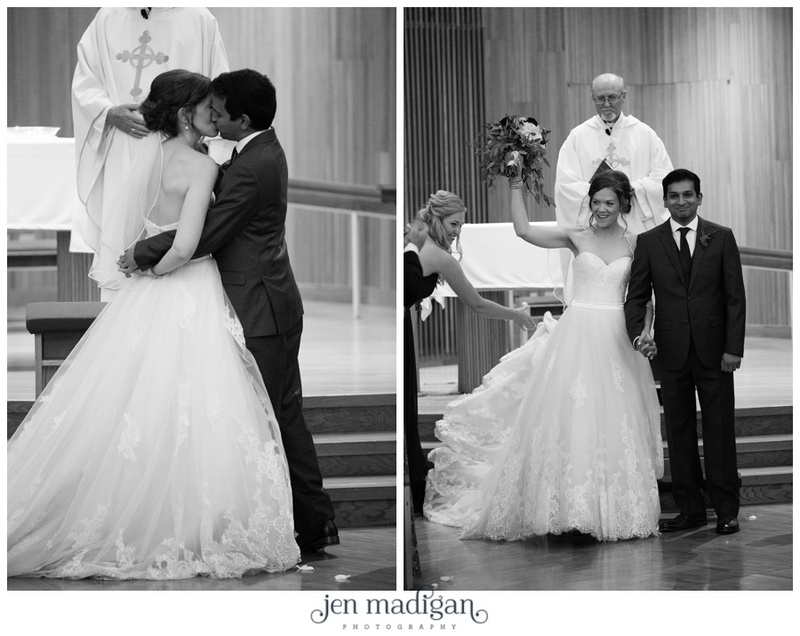 Their wedding was planned and coordinated by Emily from Soiree, and everything flowed so smoothly. 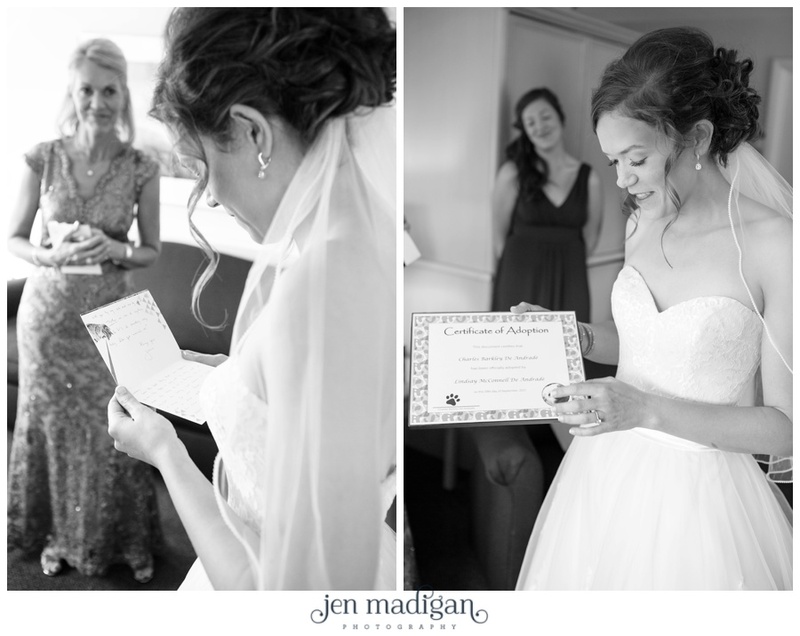 I think my favorite part of the day is when Lindsay opened her present from James, which was an adoption certificate for his (now their) pup Charles Barkley. 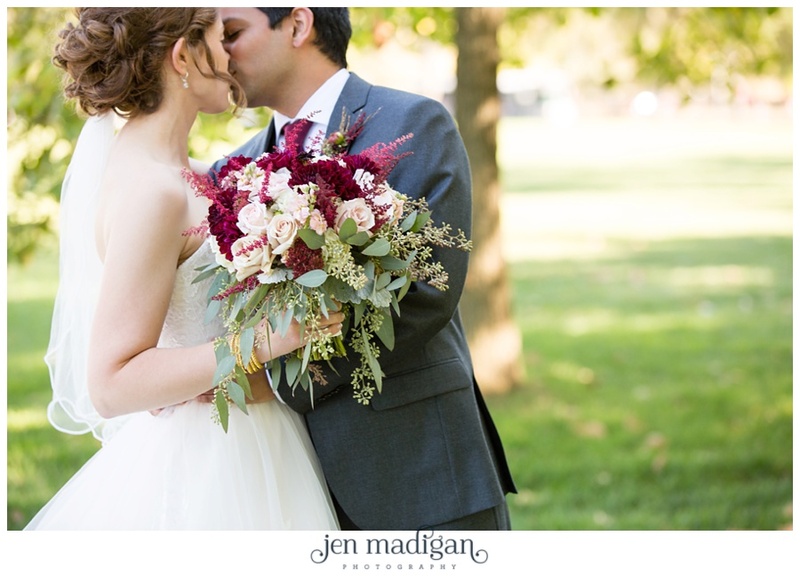 How great is that name, btw? 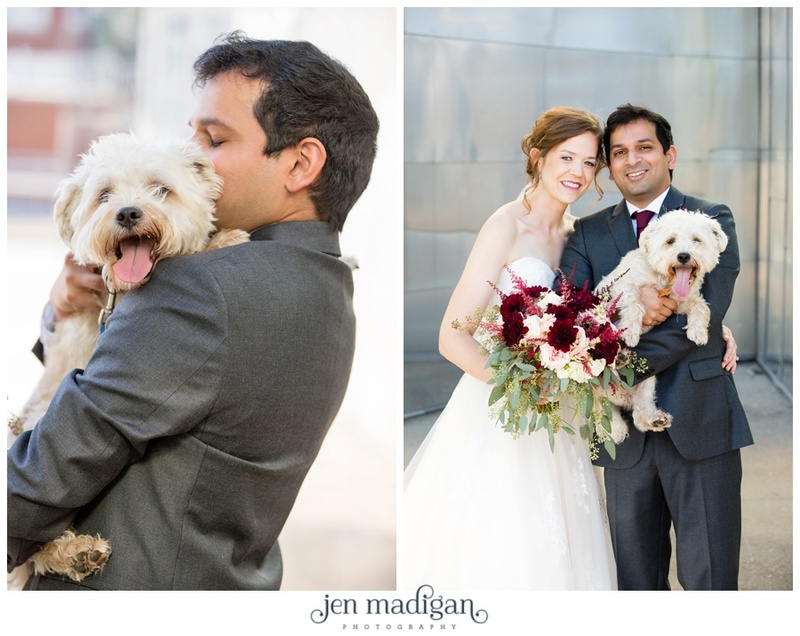 Charlie even joined us for some pics, who doesn't love a snuggly puppy and an adorable couple? 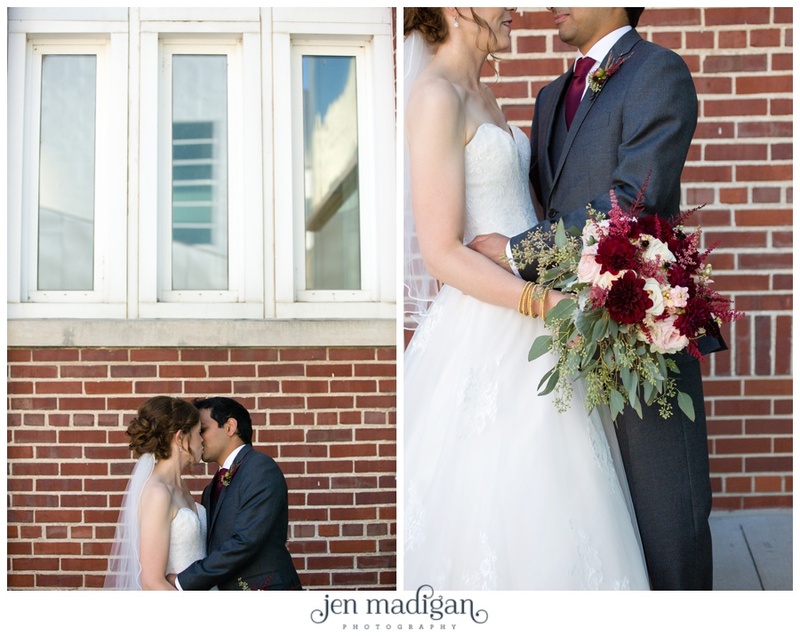 Here are some highlights from their day!